After 19 days straight of rain in Portland, I was itching for sunshine. My chance came last week when the forecast promised “sunny and nice.” So I ditched work and headed for the coast. 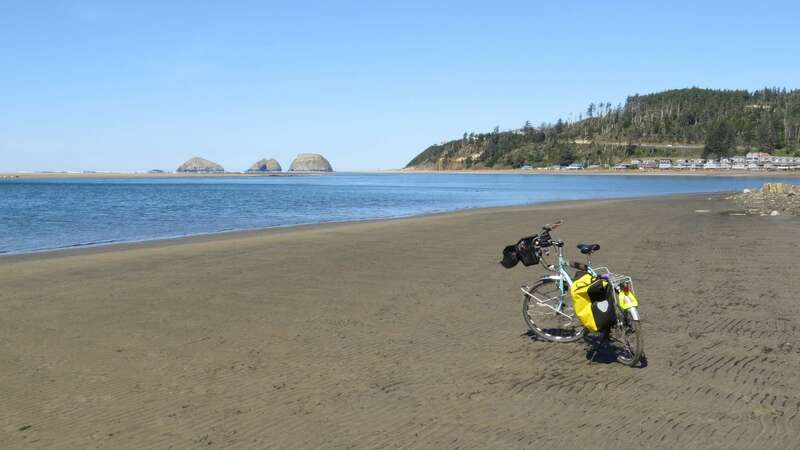 Thanks to the Blue Heron French Cheese Company’s generosity, I parked my car at their Tillamook location and biked the remaining 13 miles to Cape Lookout State Park. 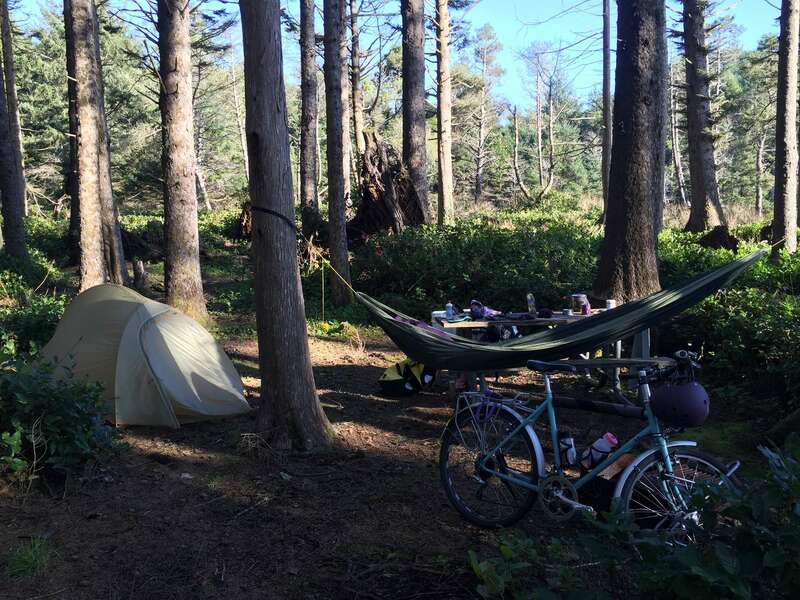 I can’t say enough about the hiker/biker campground at Cape Lookout. It’s so damn wonderful. There is one drawback though to camping on the Oregon coast that I forgot about: crafty raccoons (is there any other kind?). I awoke to suspicious noises at 3:30am, looked outside the tent, and saw the burglars going through my bike buckets. I shooed them away and went back to sleep. The pattern repeated several times over the next few hours until I finally got up to look at the damage. They’d stolen my organic saltine rounds and punctured a hole in my water bladder and a couple of other food bags. Could have been worse. This incident reminded me there are new food lockers installed on site, so I used them over the remaining days to safely store my goodies. 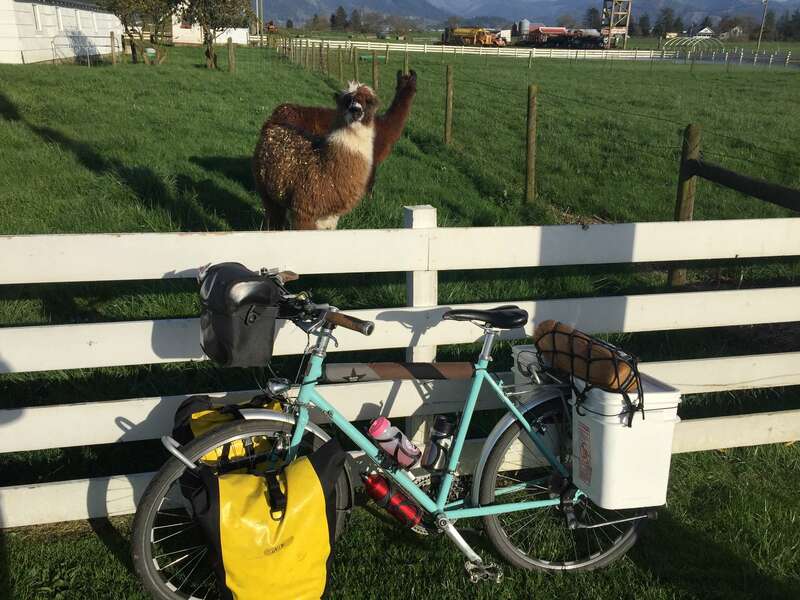 I could have spent three days hanging in the hammock, listening to Brown Creepers, Steller’s Jays, and Downy Woodpeckers at the campground, but now I had a good excuse to bike the 10 miles to Netarts for duct tape. 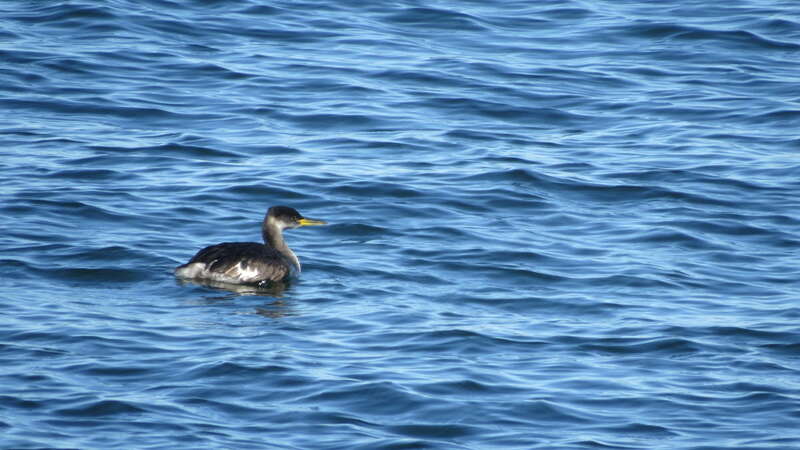 And to bird along Netarts Bay. 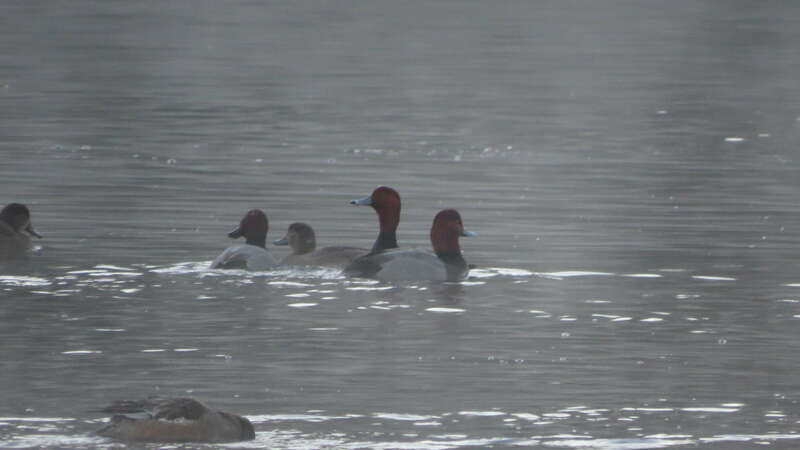 I easily picked up Bufflehead, Horned Grebe, and Common Goldeneye along the way…but hey, what’s that sleeping bird in the corner? 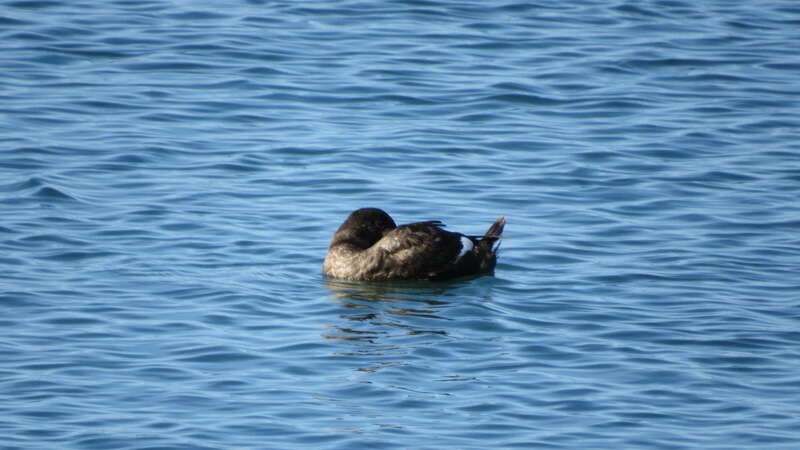 This sleeping beauty is a White-winged Scoter! Sweet, a new bird! About this time, an older gentleman hopped out of a parked truck across the street, and crossed over to chat with me about birds. 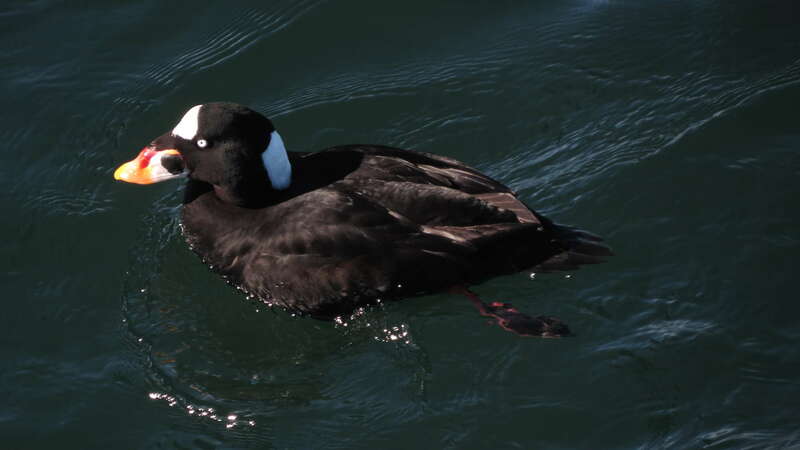 He was looking for a White-winged Scoter (he actually pronounced it “Skoo-ter” – glad I’m not the only one!). I pointed the bird out to him and he was pretty excited. 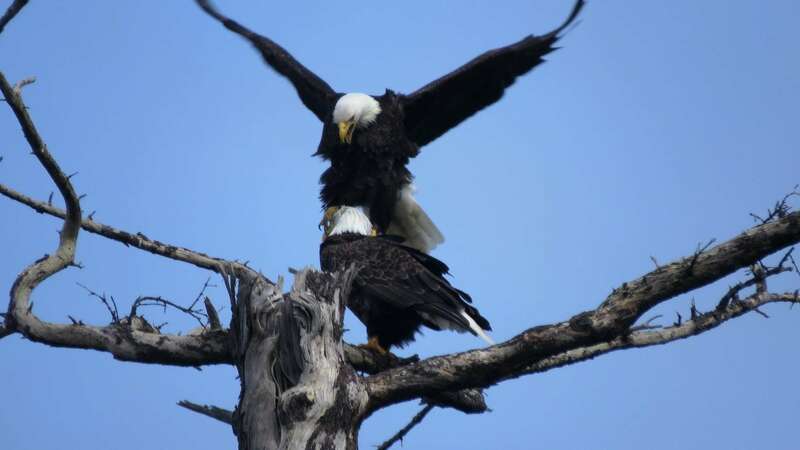 In turn, he told me about an (immature) Bald Eagle perched in a fir tree farther up the road. Nice. A good ol’ fashioned bird exchange. 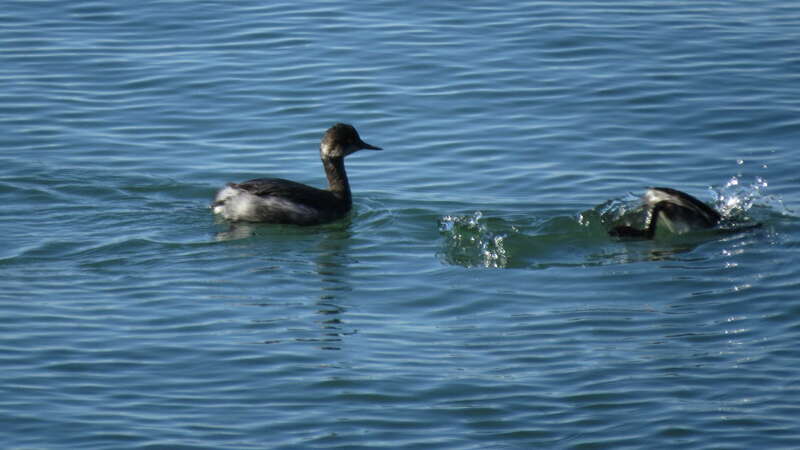 I continued along the bay, and got my best ever look at a (non-breeding) Eared Grebe. 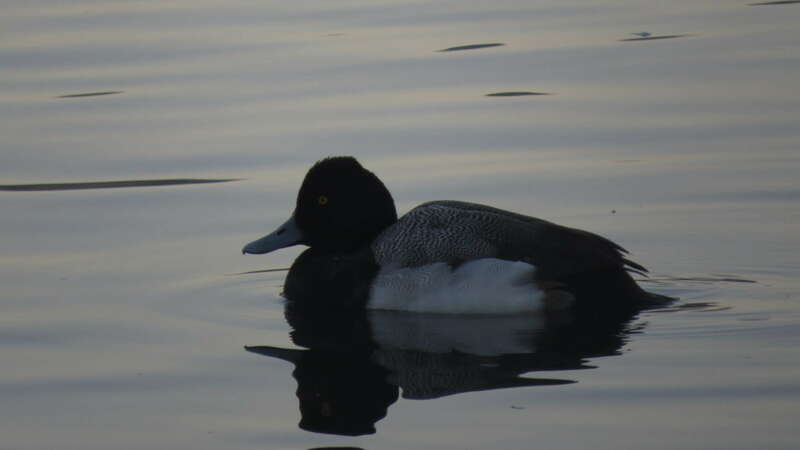 Dark cheek, dusky neck, peak over the eye, fluffy backside. 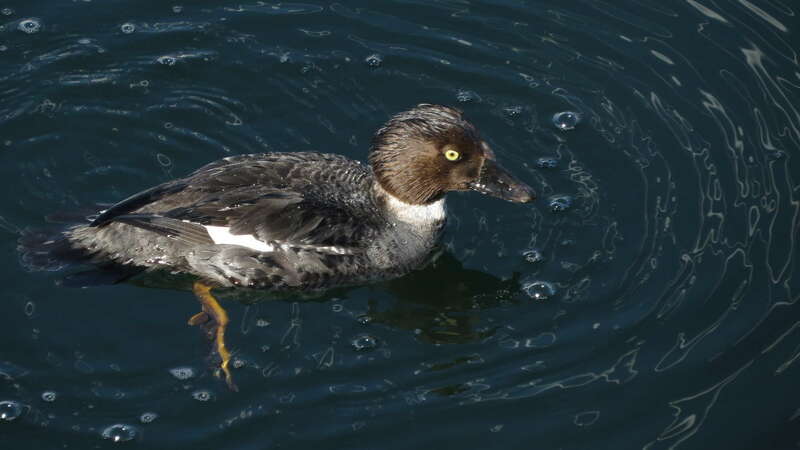 I still struggle remembering the differences between Eared (above) and Horned (below) – white cheek, white neck, whitish tip on bill, peak behind the eye, less fluffy backside. 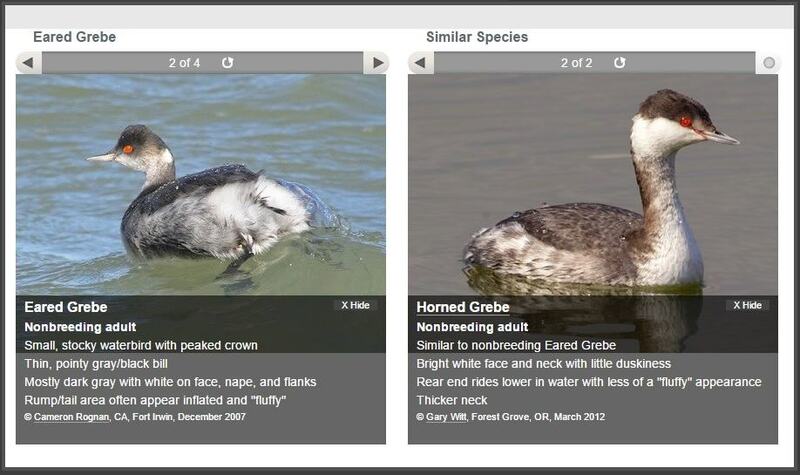 I find this photo comparison from Cornell Lab of Ornithology helpful. 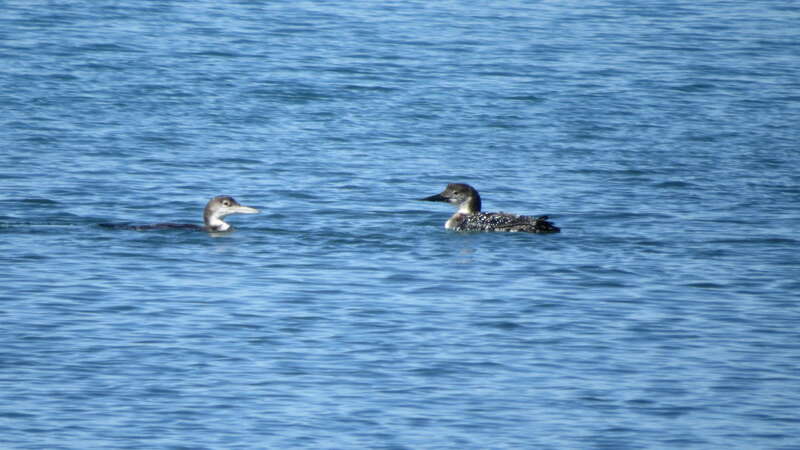 I also saw more than a couple of loons. 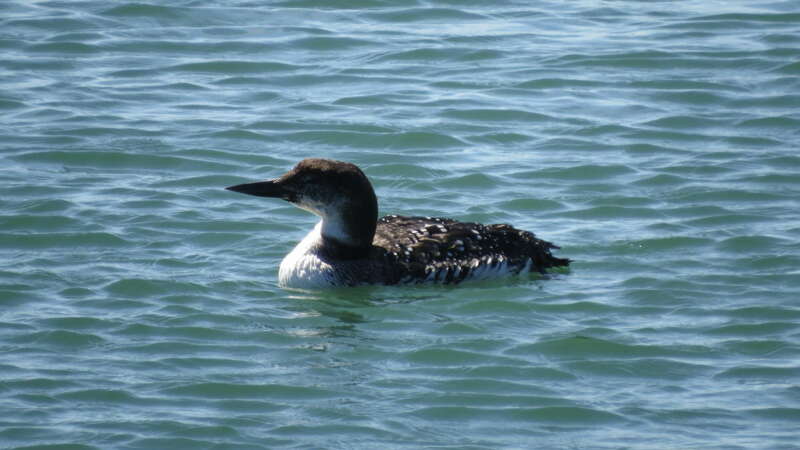 Common Loons that is. 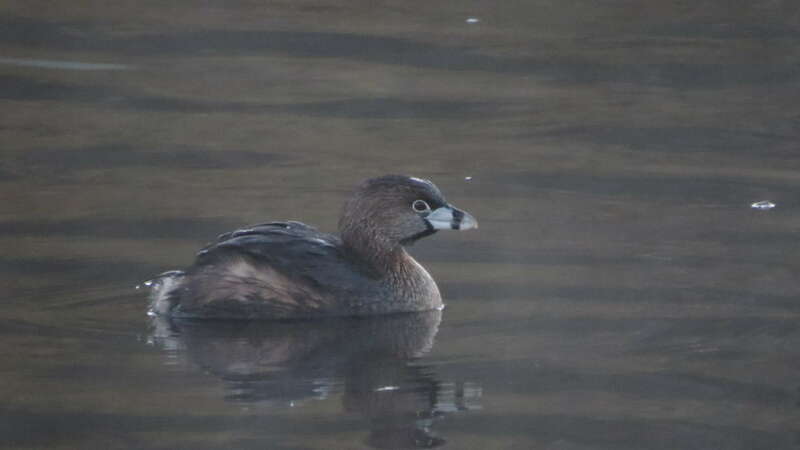 One looked like it was even still wearing a bit of breeding plumage. Such a pretty bird. 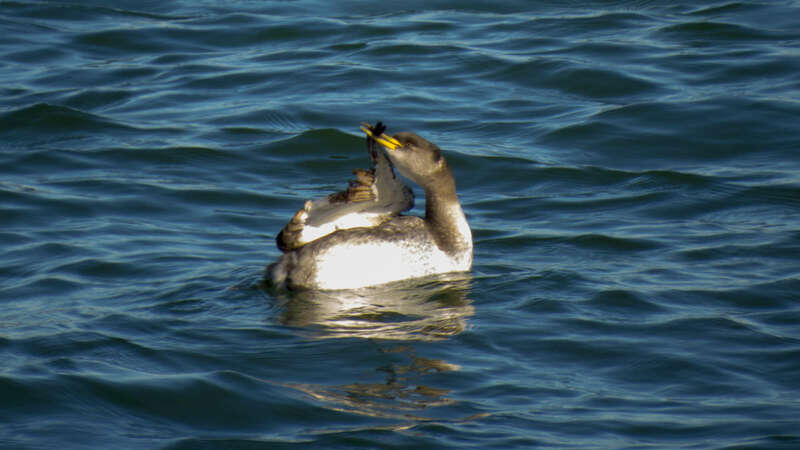 A few of the other birds I saw along the bay included Surf Scoter, Belted Kingfisher, Great Blue Heron, and Pelagic Cormorant. 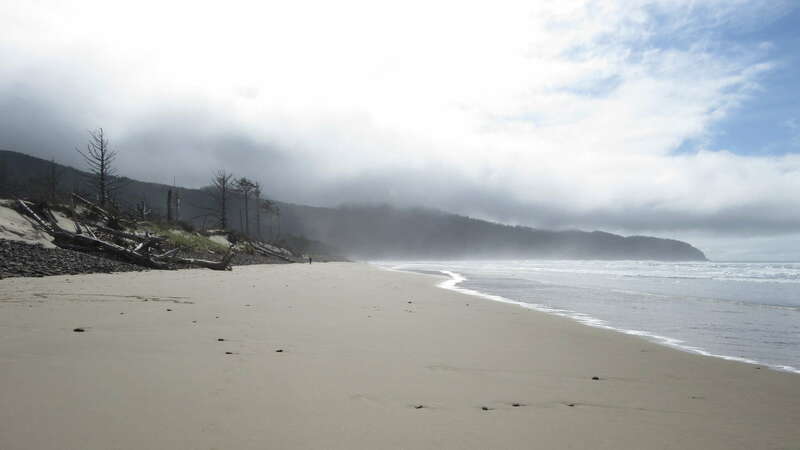 The next day, I hiked from the campground to Cape Lookout Hike and back, looking for whales and birds and such. 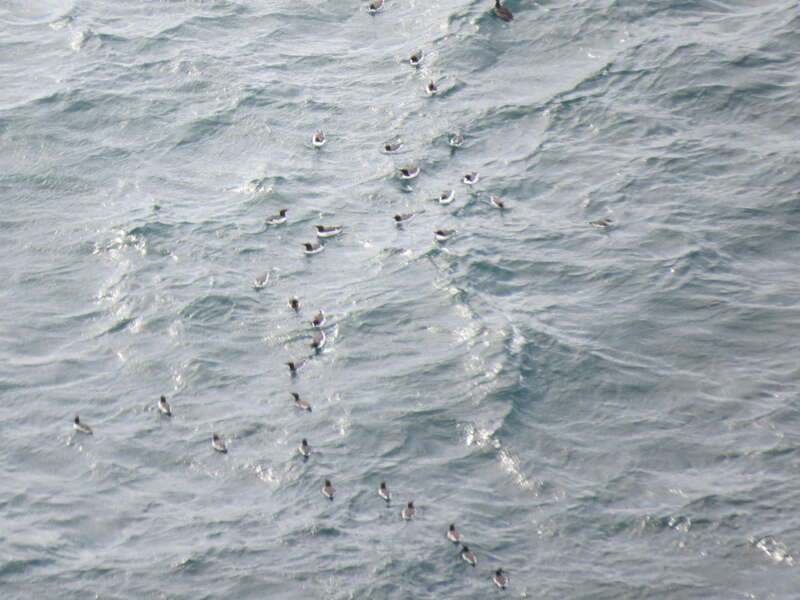 No whales this time, but I did see Common Murres swimming far below. 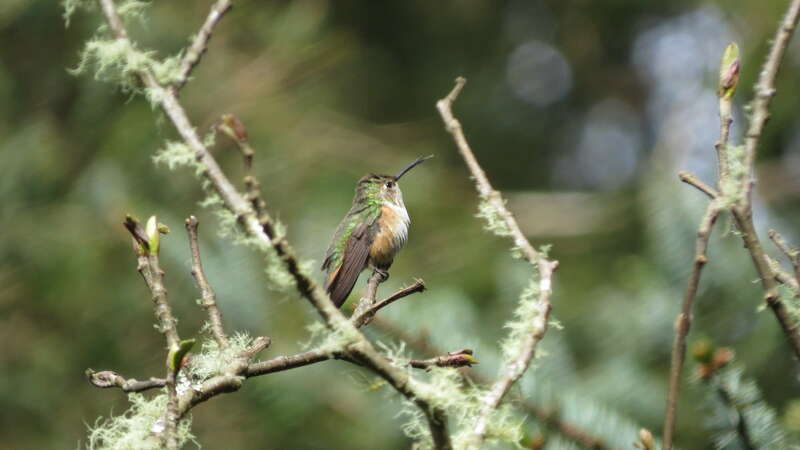 And the most exciting part of the hike was getting buzzed by my first Rufous Hummingbird of the year! I saw three total, including this lovely lady. What a cool place to find them. 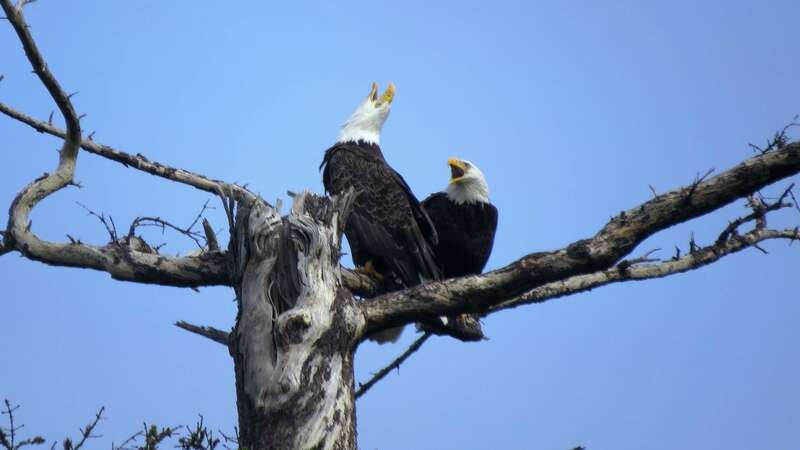 Later, at the campground I saw two more. I was rich in rufous. 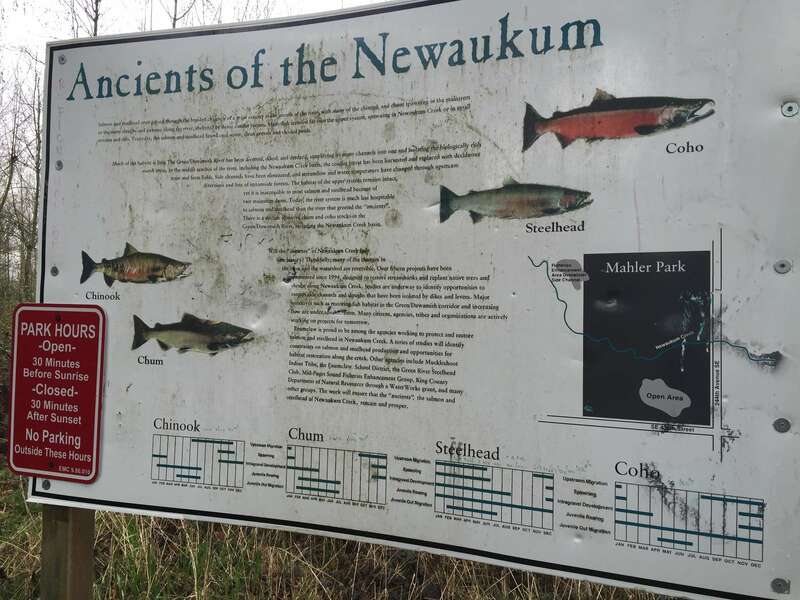 I forgot how long the hike is from the campground (10 miles round trip!). My sore feet told me to lay around like a walrus, but there was something surprisingly lacking from this trip. Gulls. Where were they? Granted, there was less beach due to high water, but still, I expected more than Western Gulls, especially since last time in September I’d seen such a variety. 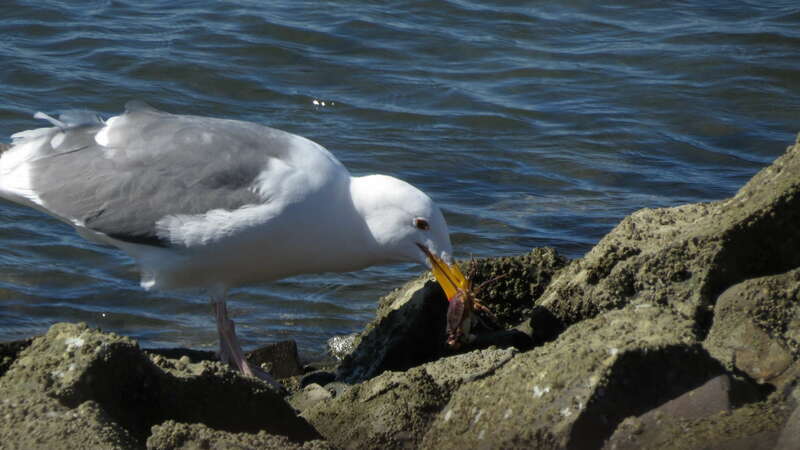 Apparently I did it right the first time, because late summer/early fall is the best time to see multiple gull species on the Oregon coast. 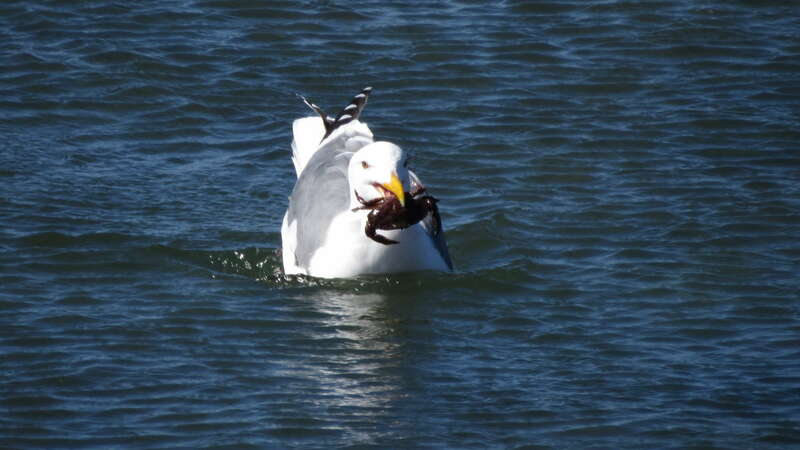 But that’s okay, because I saw the happiest Western Gull ever. 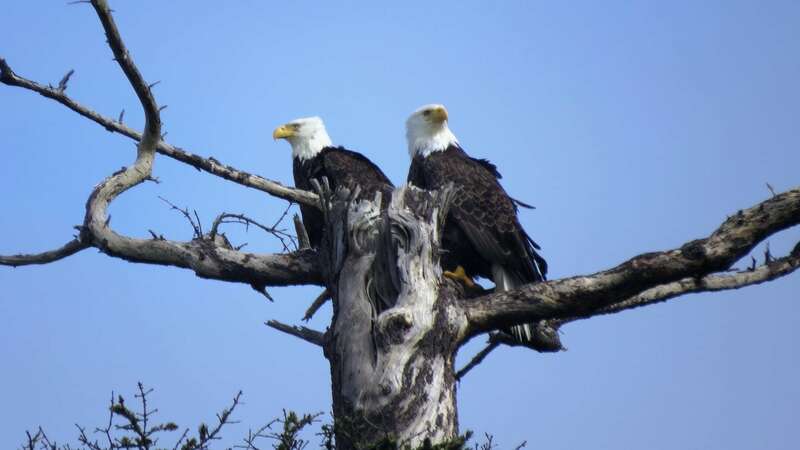 While looking for gulls, I also saw a pair of Bald Eagles. Wait, why are they screaming? The final morning, I left the coast early enough to hear Great Horned Owls hoot and for minimal traffic to pass me on the road. 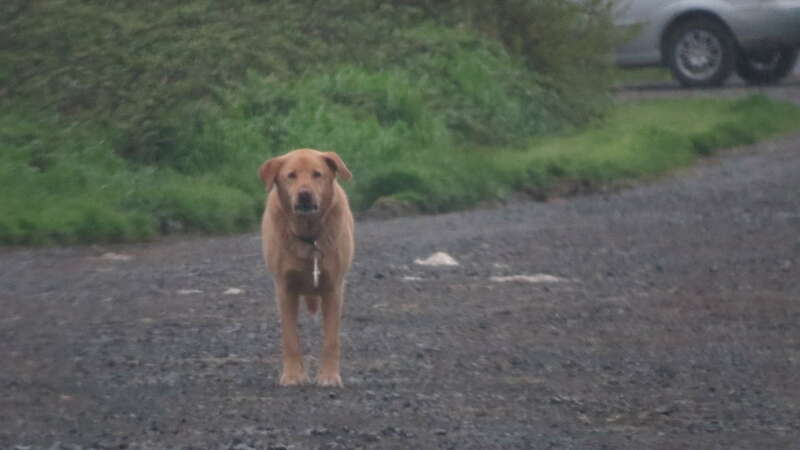 I had enough time before I had to get back to Portland for one stop, so I aimed for Fenk Road along the south side of Tillamook Bay near the Trask River. 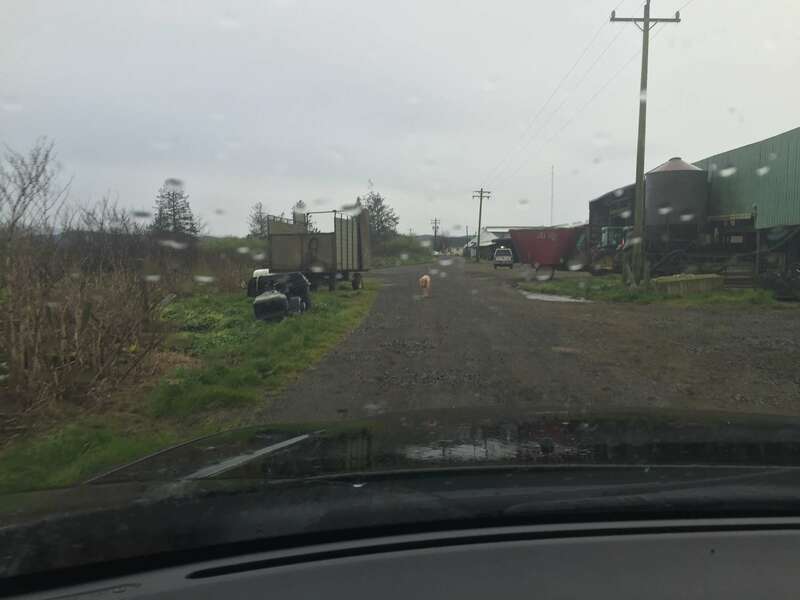 I traveled down the creepy farm road, past the cattle, and the guard dog. Then I parked next to the pile of garbage, got out and wandered across the levee road, and trudged through a marshy field. 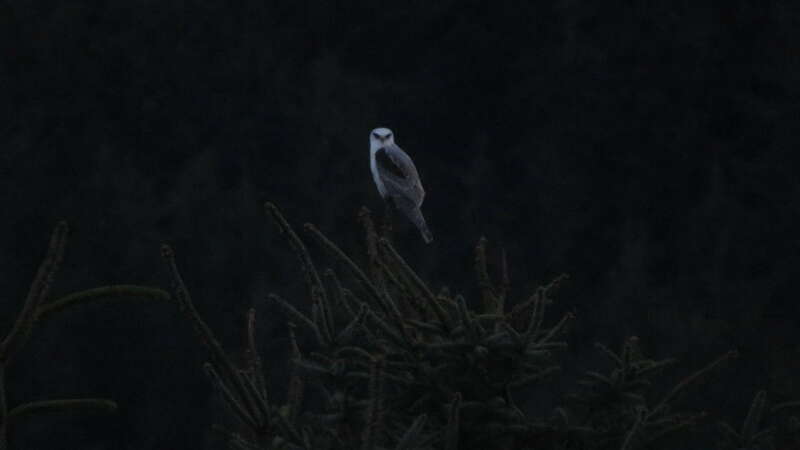 It was all worth it, because far across the pasture, perched on a Douglas-fir, I saw the white blob I was looking for. 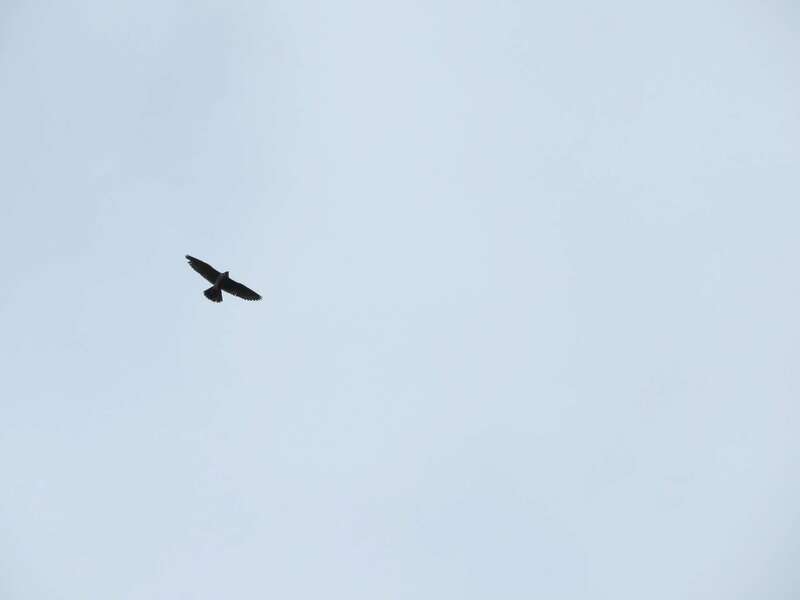 The bird “hover-soared” kind of like a Kestrel, while it hunted above the nearby field. Too bad it was too dark for decent pictures. But it didn’t matter, because after a weekend of sunshine, hummingbirds, hiking and biking, followed by a White-tailed Kite? I didn’t even care that the rain was back. The weekend after the Seattle trip with Jen, my boyfriend, Tomas, suggested going to Seattle to visit friends and try out his new fancy camera. 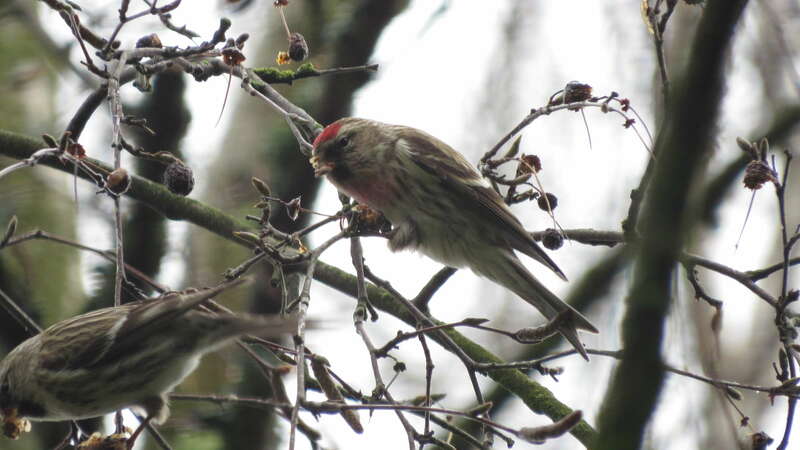 I heard, “Blah, blah, blah…..another chance at redpolls?” Yes. Yes, I would like to go to Seattle. 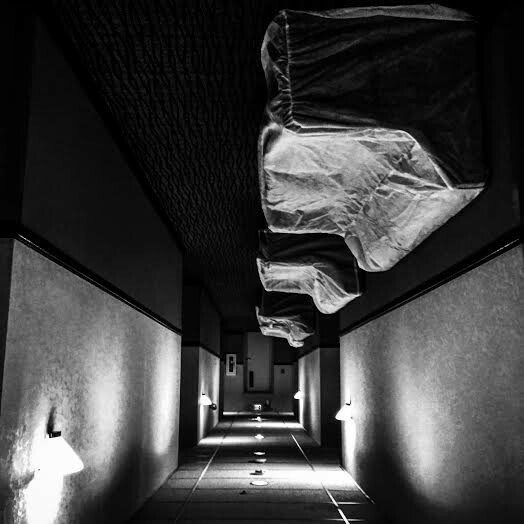 We drove up late Friday night and stayed a hotel way less creepy than the last one in Kennewick. 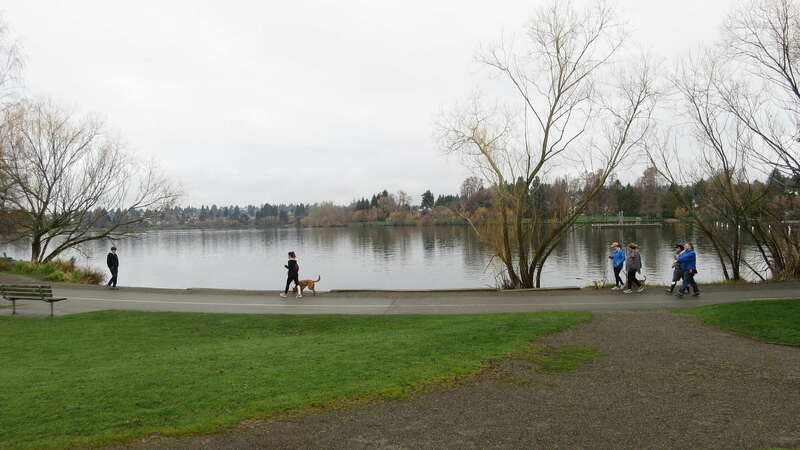 We got up early, stuffed ourselves with bananas foster french toast, then headed over to Green Lake. It was just like before, lots of people, lots of dogs. And unfortunately, this time, it was overcast and cloudy. 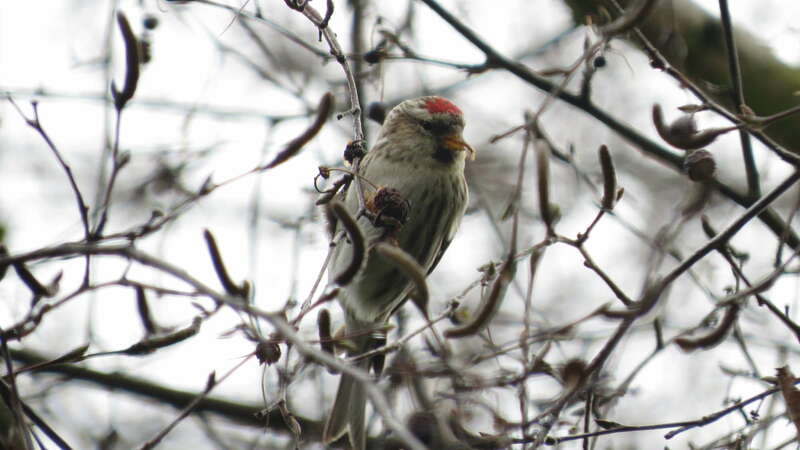 But we could overlook the weather for the moment, because we found the Common Redpolls! Right where they were supposed to be, in the birch trees by the lake. So reliable I could set my watch to them. It was going to be that easy, huh? We took pictures and watched them pick at the catkins for hours. 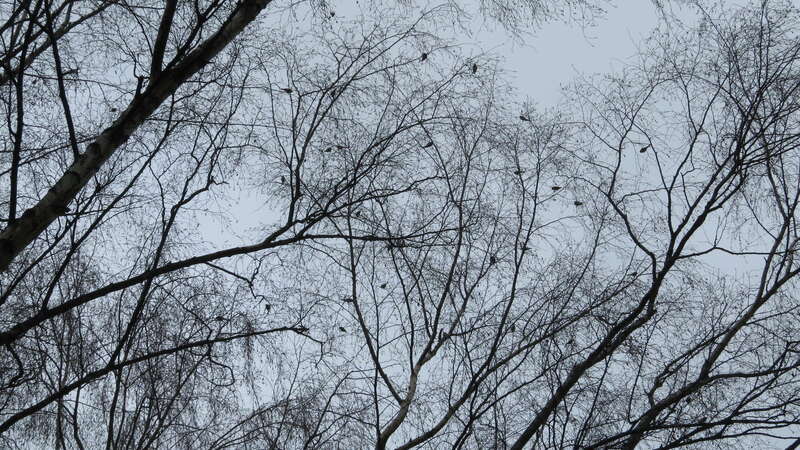 They were very fast, moving from branch to branch picking seeds. The catkin petals fell from the trees like snow. Here’s a video of one bird. 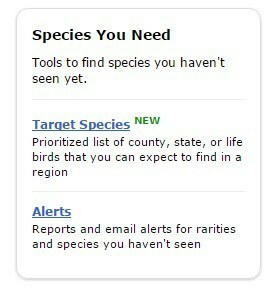 This is where you can sign up for alerts and read accounts of rare birds by state or county. It’s funny, I’ve entered rare birds into the eBird app that were included in the list (that Northern Mockingbird at Hollebeke), but I never knew there was a central place to read the descriptions and see uploaded user photos. That data is super helpful. 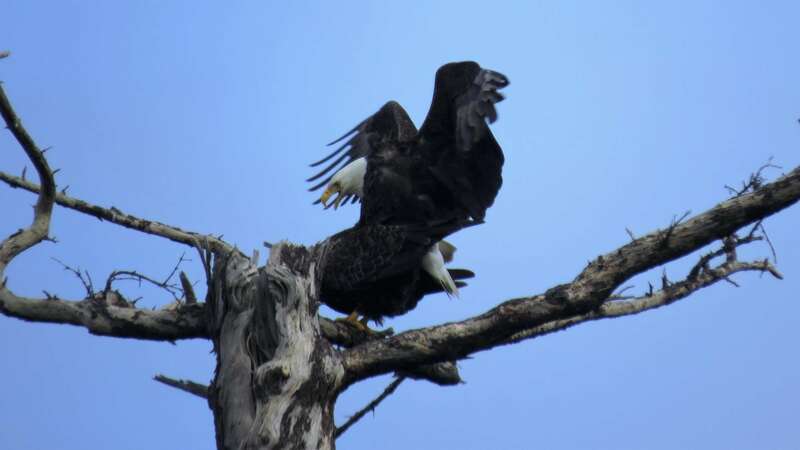 Especially if you want to chase a Gyrfalcon reported an hour away from Seattle at Mahler Park in Enumclaw. And we did. So we went. We arrived at the park, and quickly made friends with the handful of birders on site, who were also looking for the falcon. 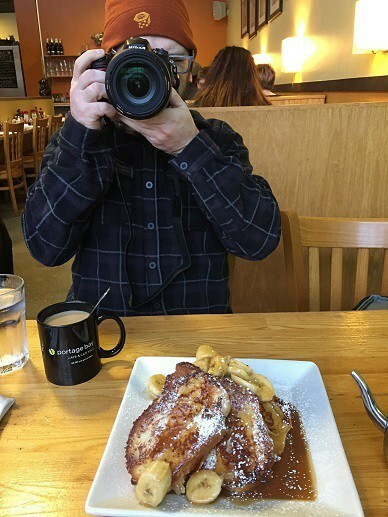 A nearby resident came out and told us he had seen the bird that morning perched on the “known snag.” He showed us a superb picture on his phone and mentioned they named the bird Henry, after a neighborhood kid. Alrighty, then. Henry, the Gyrfalcon, was not home that afternoon. We figured he was probably out hunting, so we drove around the area with our eyes glued to the sky. I noticed a couple of silhouettes at once. 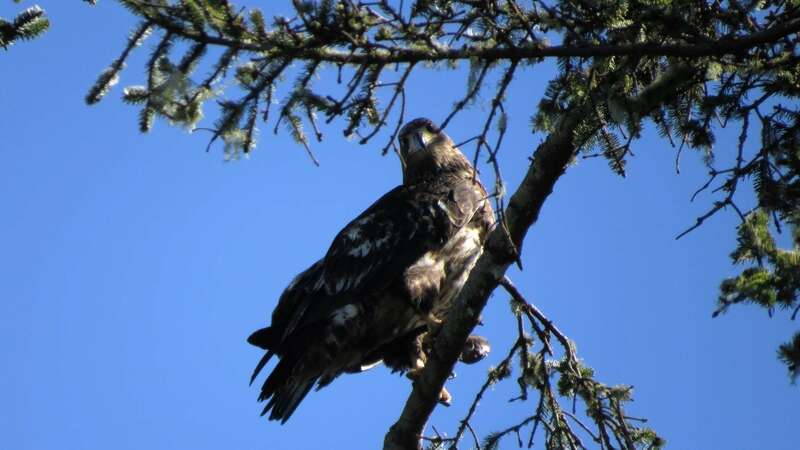 Diamond-shaped tail, large bird, with “feather fingers” = Common Raven Juvenile Bald Eagle. 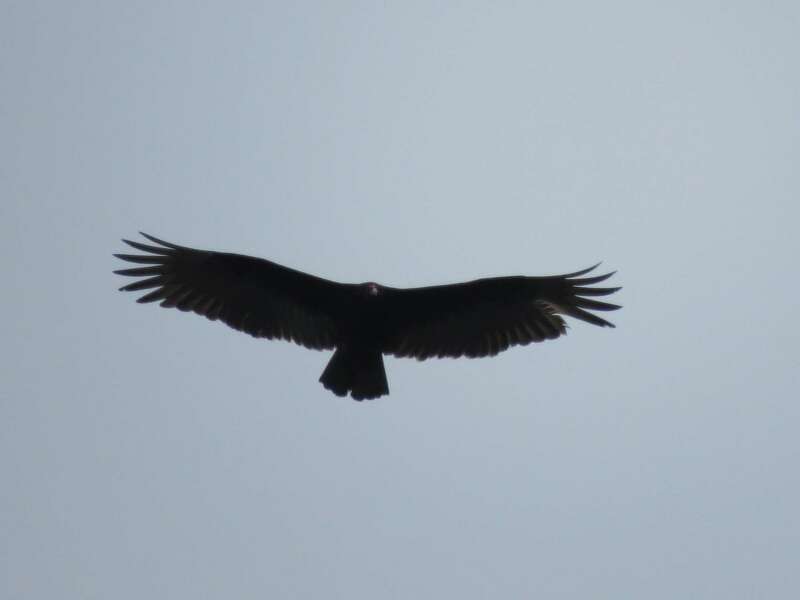 I also saw a large bird soaring with dark wings and light flight feathers, a “headless” bird I recognized as a Turkey Vulture! Year bird! 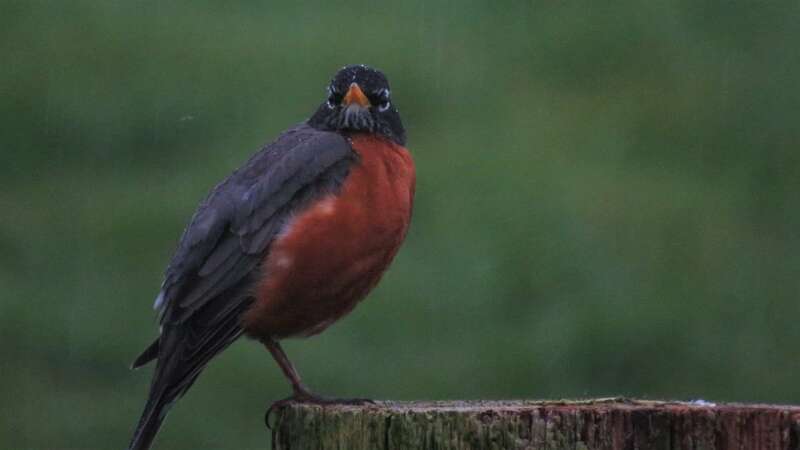 I made the eBird entry and turns out it’s an uncommon bird for this area at this time of year and it showed up on the alert list. It does seem early, I think it wasn’t until summer that I first saw one last year. 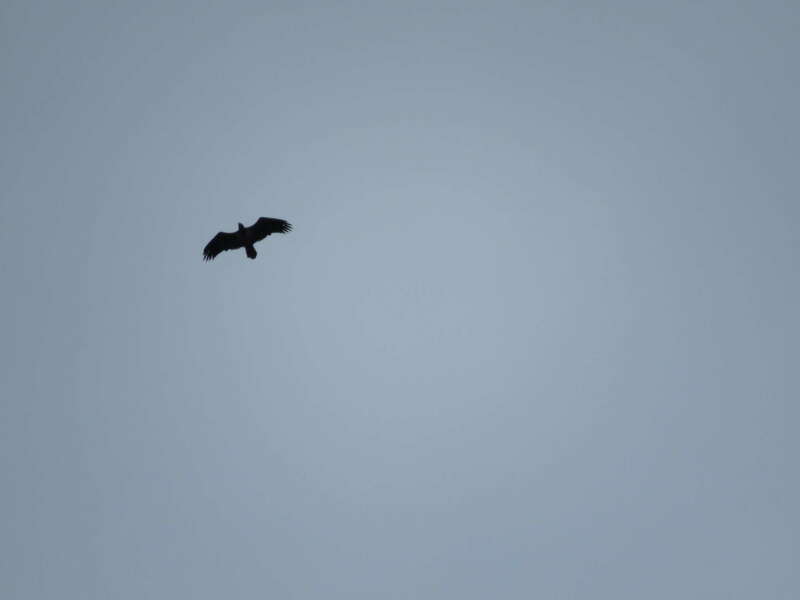 We continued on, and about a block away from the park I saw a falcon silhouette. Streamlined shape, and moving fast. Flying fast and farther away from us. 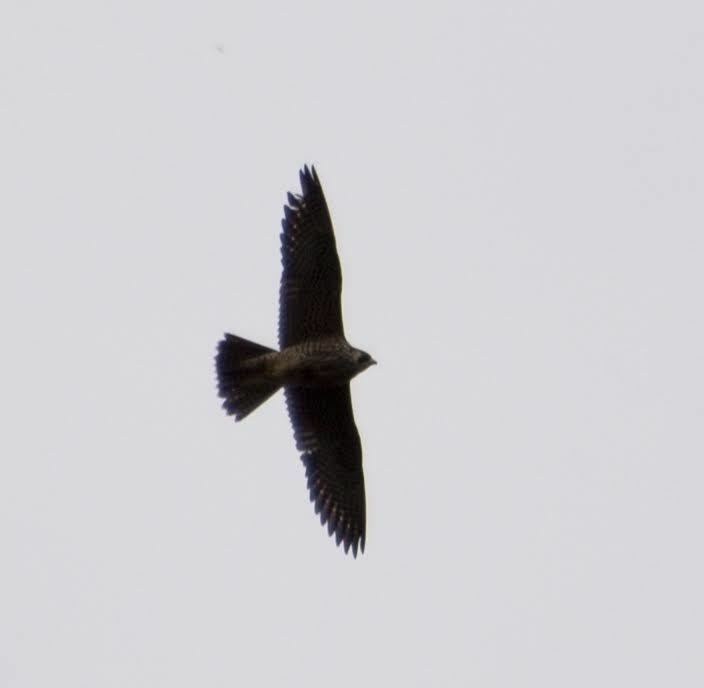 I was confident it was a falcon, and it looked light below, but with the overcast skies it was difficult to tell for sure. I thought, what are the odds there’s another falcon so close? It had to be Henry. Celebrations commenced. Champagne corks were basically popped. 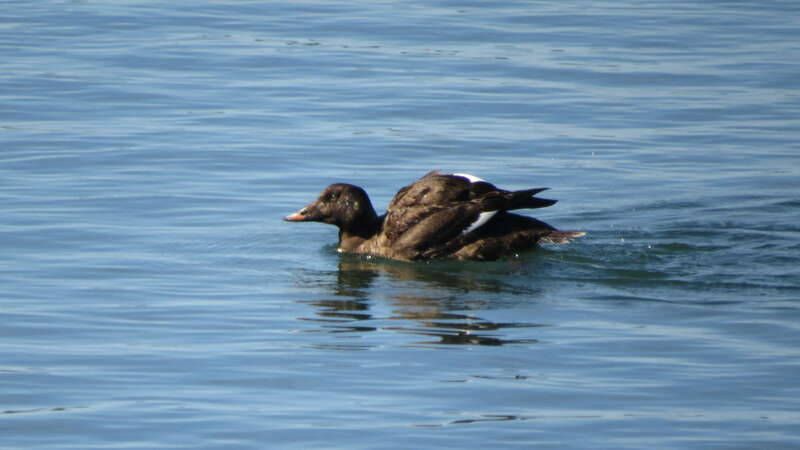 Until I got home and was able to study the pictures more closely. Turns out the odds are pretty high that there’s a Peregrine Falcon near where a Gyrfalcon was spotted. The dark “mustache” is a clear giveaway. Who knew? I wish we could have spent more time chasing the bird. We were so close! 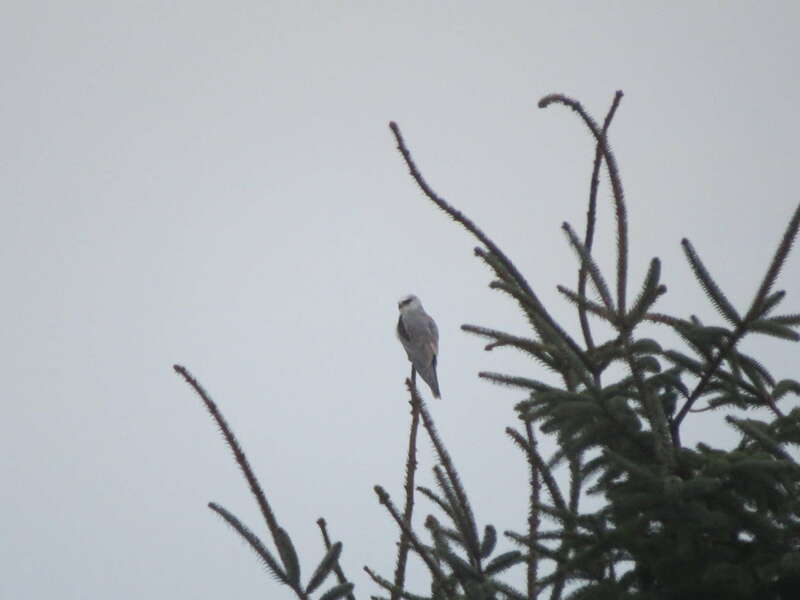 Nevertheless, those few hours we thought we saw a Gyrfalcon were some of the most fun yet. And it’s going to make the next sighting that much sweeter. We made it back in time to watch the sunset, have dinner with friends, and to check on the Redpolls. They were not there. So unreliable! 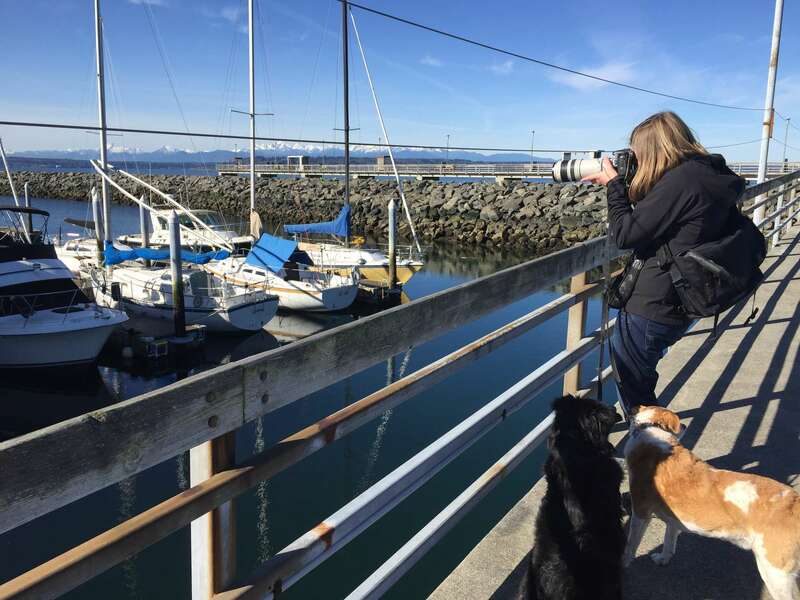 A couple of weeks ago, Jen invited me on a birding day trip to Seattle with her and her pups. 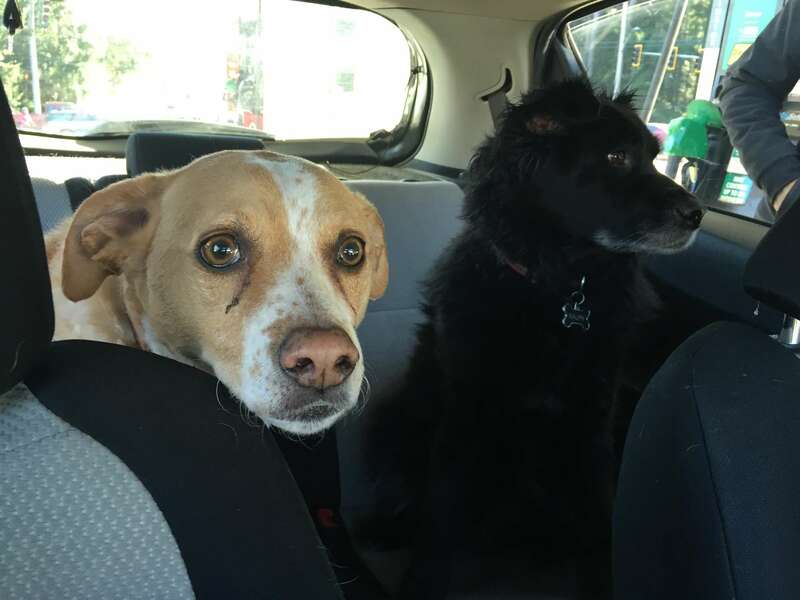 How could I resist those faces?! 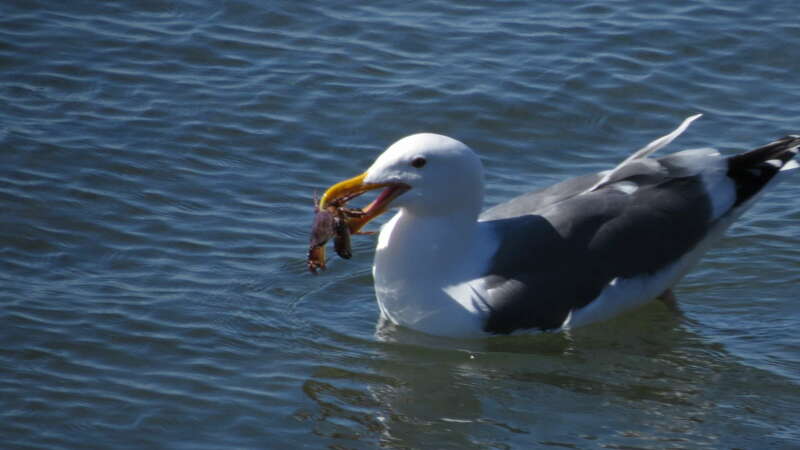 To sweeten the deal, there were life-birds up for grabs. 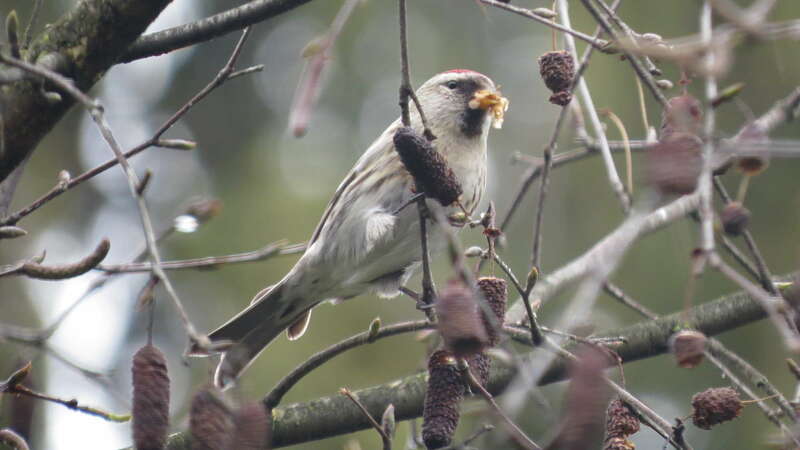 A flock of Common Redpolls was reportedly (reliably) camped out in the birch trees near Green Lake. 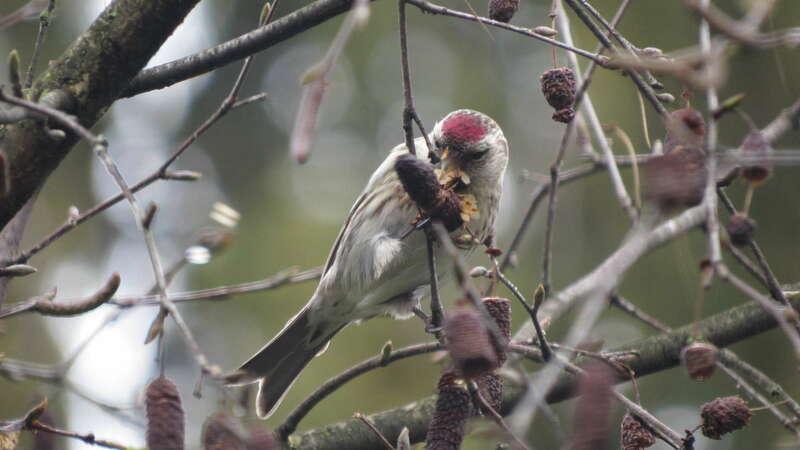 Redpolls typically winter in the northeastern portion of United States, so this rarity would be a treat. 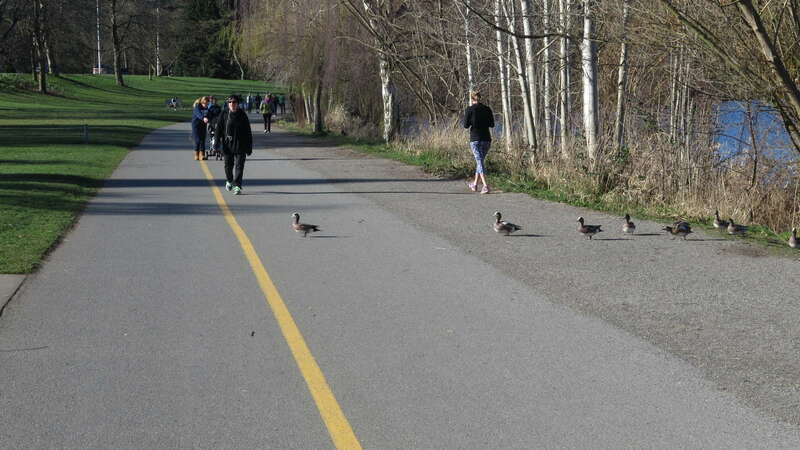 Along the way, we checked in on an unusually large group of Redheads at Weyerhauser Pond, just north of Tacoma. 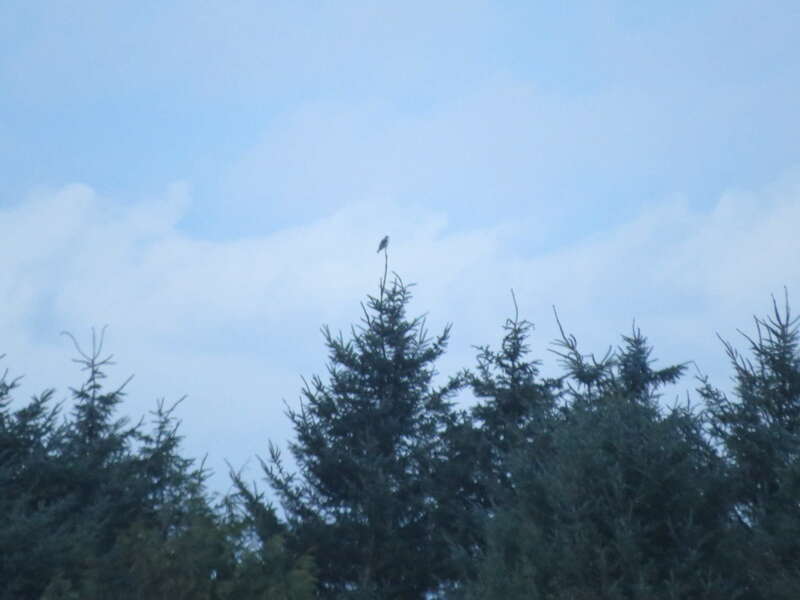 My first new bird of the day! We got closer looks of a couple of “brunettes” too. The morning temperatures started out chilly, but the forecast promised blue skies, warmth, and sunshine to come. Seattle graciously delivered. Why can’t every day be like this? 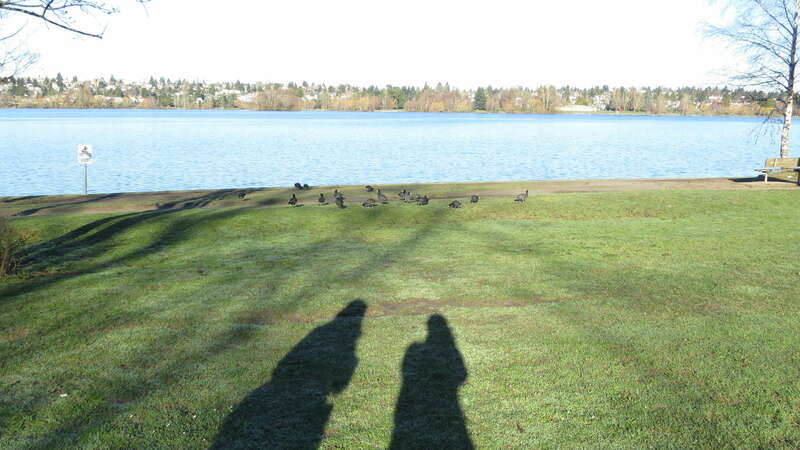 A quick stop at Green Lake turned up empty for redpolls, so we drove farther north to Edmonds, Washington, with the intent on returning to the lake later in the day. 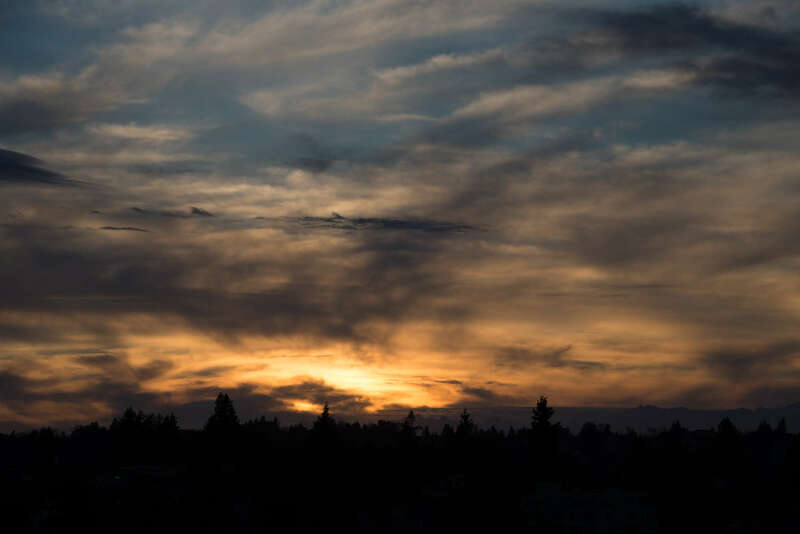 Edmonds has stellar views of the Olympic Mountains. 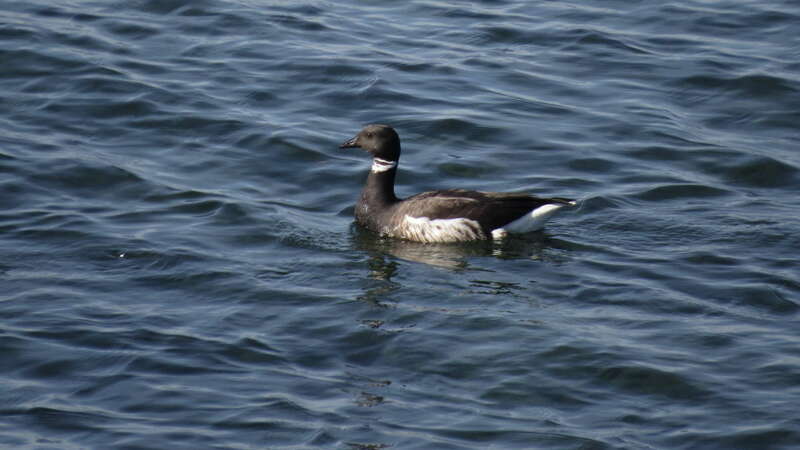 And some pretty good looks of birds from the shore and from the pier too. 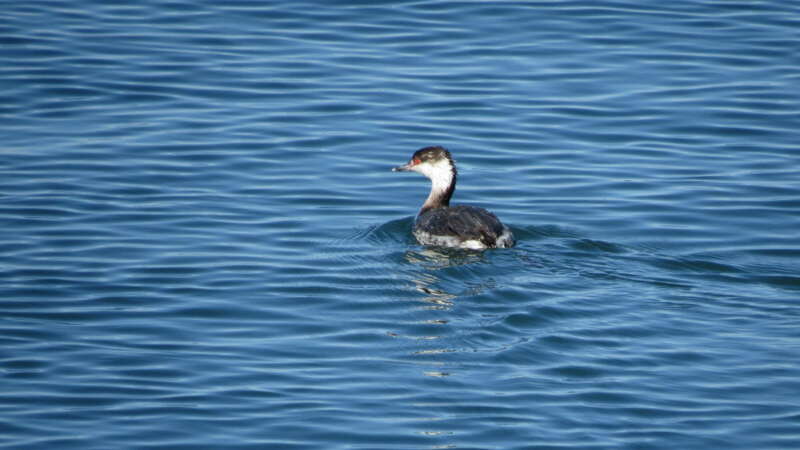 Like another life bird for me, the Red-necked Grebe. 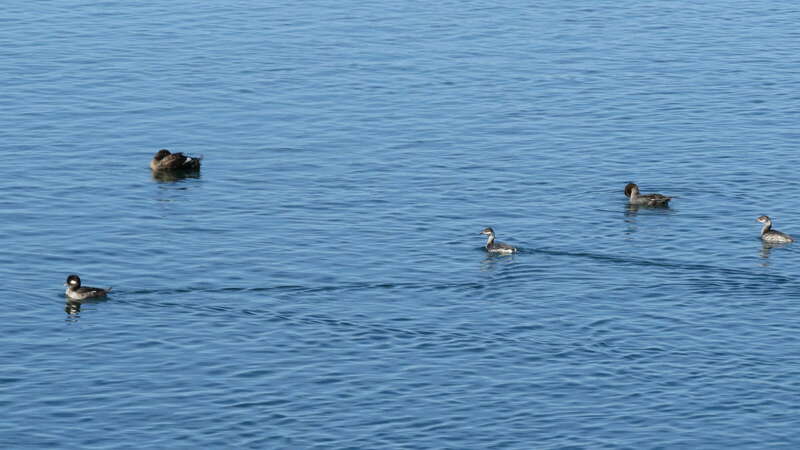 Some day I’d like to see grebes in their breeding plumage so they can really wow me. 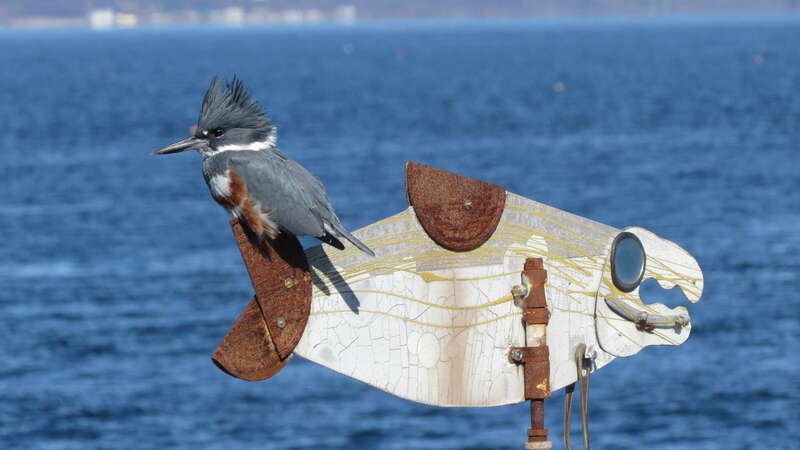 Speaking of wows, while walking along the pier we got the best looks ever of this Belted Kingfisher. I was in shock. I’m pretty sure my jaw was hanging open. 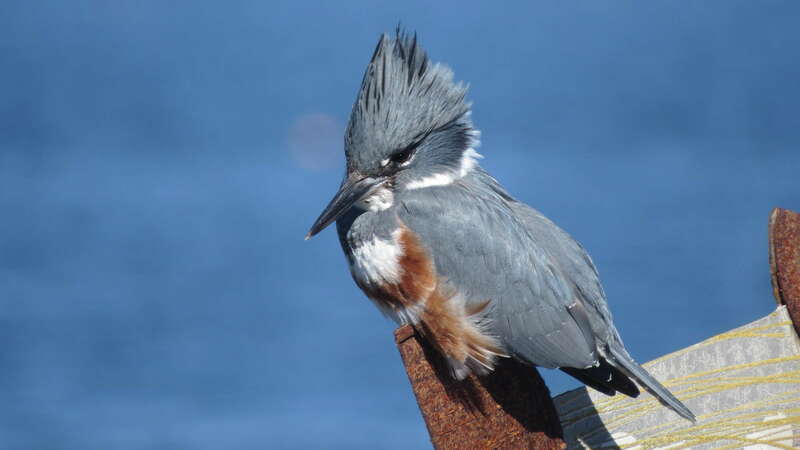 Kingfishers usually spook easily, but this one paid us no mind. 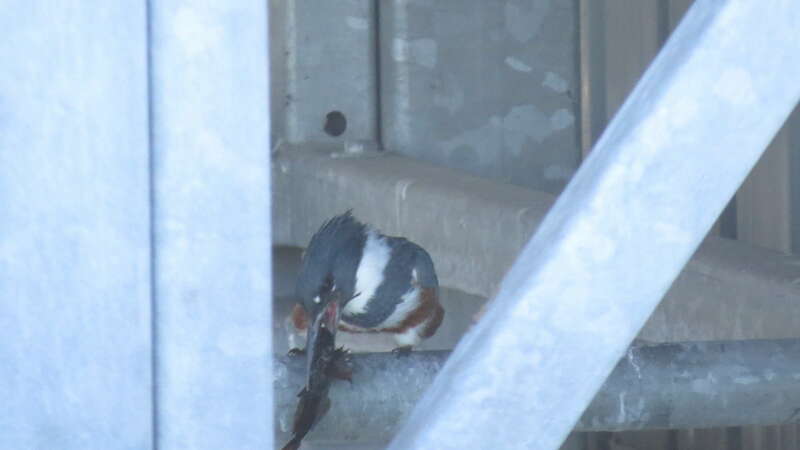 We watched as she darted in the water, grabbed a fish, and flew to a perch, where she then proceeded to furiously whack the fish repeatedly on a pole. Here’s a video of nature’s awesome brutality. The clang of the fish on the pole was oddly disturbing…and funny at the same time. 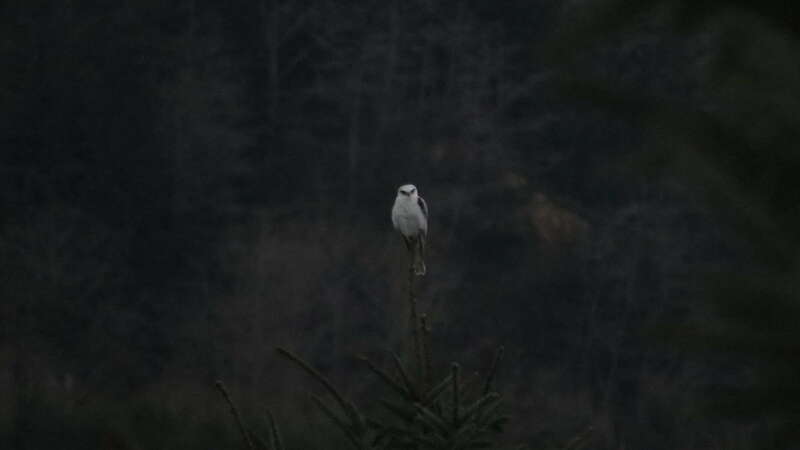 One of the most hilarious birding encounters I’ve had, and I’m happy it was a shared experience. 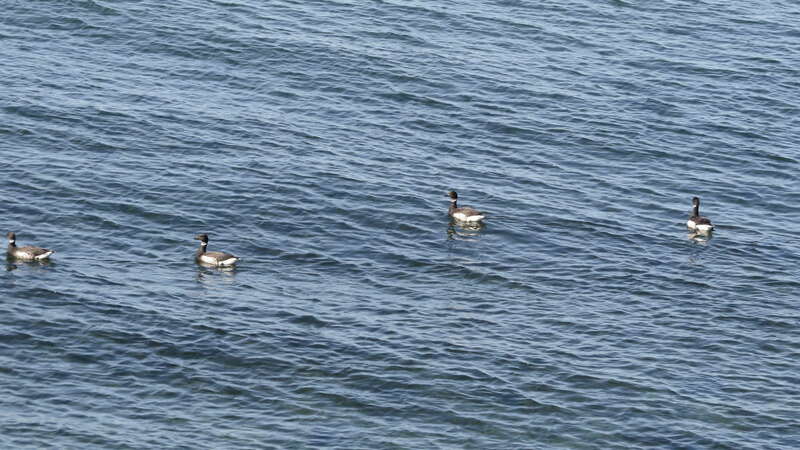 From the pier, we saw Surf Scoters scooting along in the waters below. What a great look at that bizarre bill. 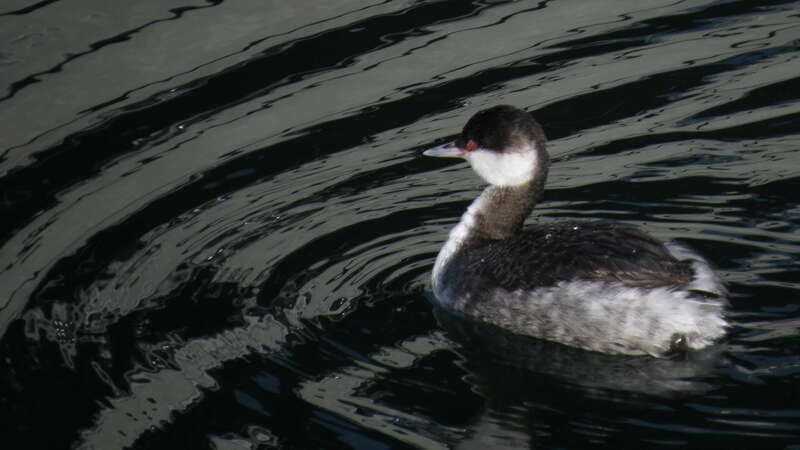 There were other tame birds in the pier waters, like this Horned Grebe. 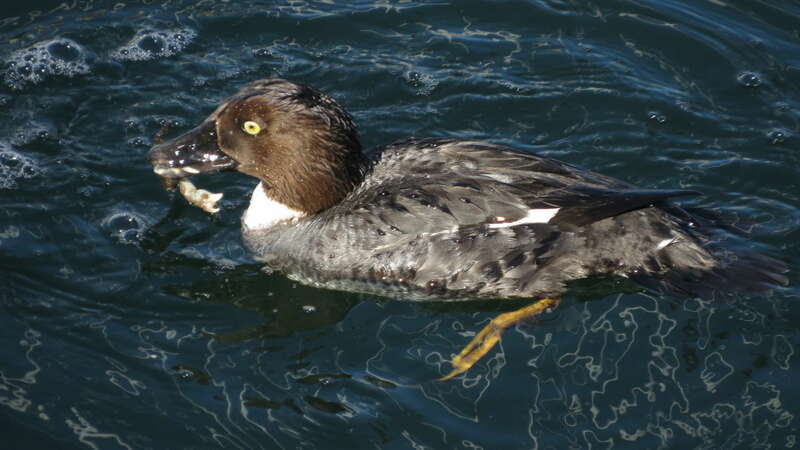 And at one point, we watched a Common Goldeneye fight a crustacean that was no match for this diving diva, and she devoured it no problem. What a great spot! 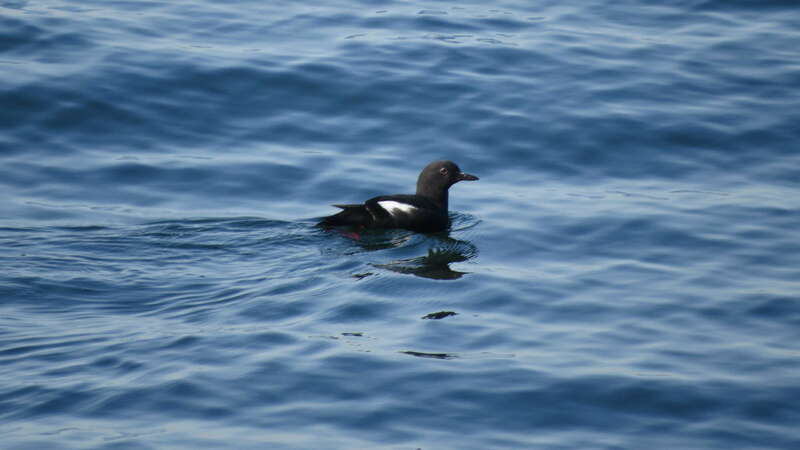 Offshore, we caught sight of a bird in the same family as Puffins (Alcidae), the Pigeon Guillemot. 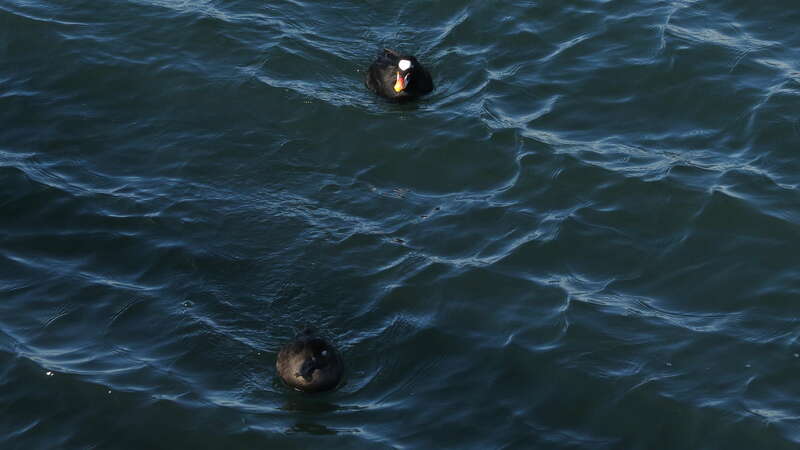 Also present were Pelagic Cormorants, Red-breasted Merganser, Great Blue Heron, Western Gulls, and the cuddliest harbor seal. Jen spotted a group of Brant flying by that I barely saw, but luckily got better looks of later at a viewpoint along Sunset Ave. This dignified goose earned the title of third life bird of the day for me. 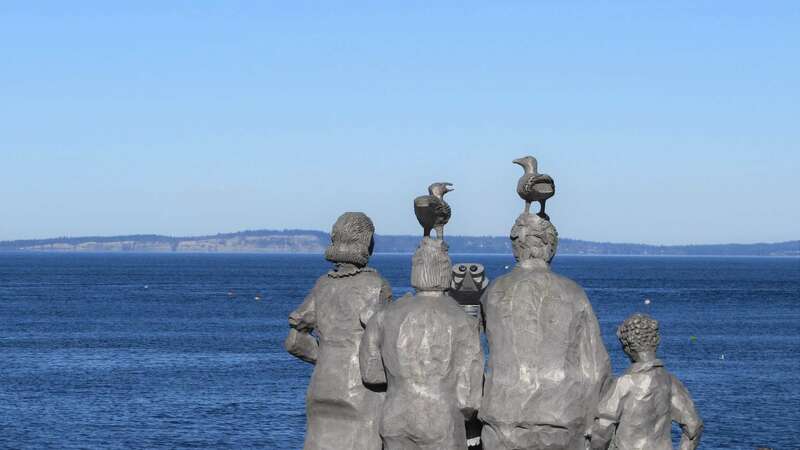 Quality time was spent at Edmonds, but target birds remained on the list. On route back to Green Lake, we made a quick detour to Discovery Park, to find a Hutton’s Vireo, another lifer for me! No pictures of the vireo (that looks like a Ruby-crowned Kinglet), but I did get a recording of its distinctive song, “zu-wee, zu-wee, zu-wee“, before it dive-bombed us and hid back in the shrubbery. Pretty cool. By this time we were losing daylight and quickly made our way back to Green Lake for another try at redpolls. We found plenty of ducks, geese, people, dogs, and even people who had *seen* the redpolls, “they were right there on those birch, yesterday!” Unfortunately though, after two visits and trekking the entire 2.8 miles around the lake, we lost the bet and “dipped” on the redpolls. Redpolls 1; Us 0. 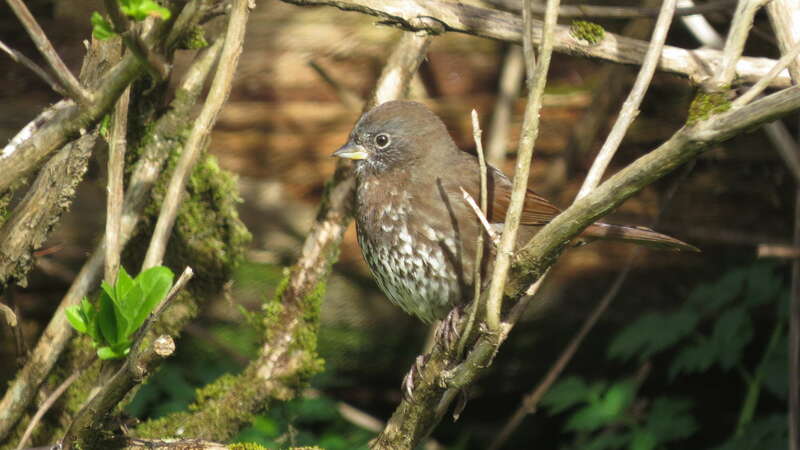 Birding is humbling, challenging, and rewarding all wrapped up in one fun-feathered package. 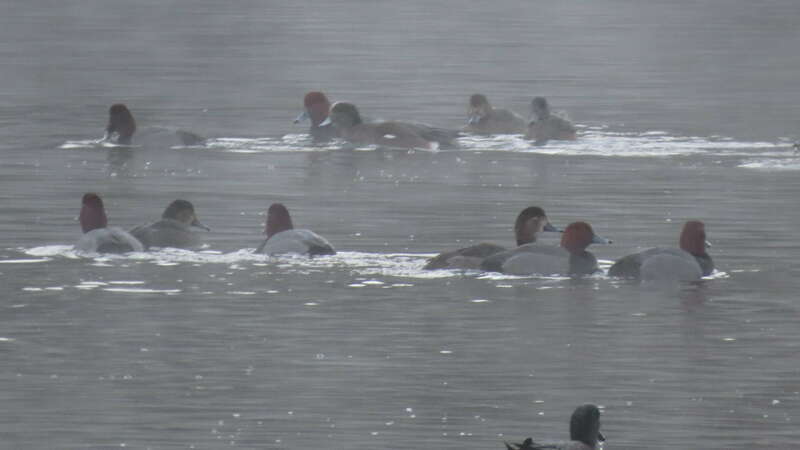 Despite the redpolls, I had a blast and would do it all over again.